Perhaps you’ve seen the movie “Glory” — an epic based on the true exploits of black soldiers during the Civil War. One of the most gripping portions is the assault on Fort Wagner in South Carolina. Just two weeks after General Grant’s victory at Vicksburg a large Union force gathered outside the walled Confederate fort on the beach at Fort Wagner, an obstacle considered essential to Grant’s plan to capture Charleston. From the bay six ironclad Union ships began the bombardment. Lying on the sandy beach within 1000 yards of the fort were members of the Union infantry including the 600 men of the 54th Massachusetts Colored Infantry. Behind them was the 6th Connecticut, but on this day it would be the black soldiers of the 54th who would lead the assault. The Civil War was almost two years old when President Abraham Lincoln issued the Emancipation Proclamation on January 1, 1863. 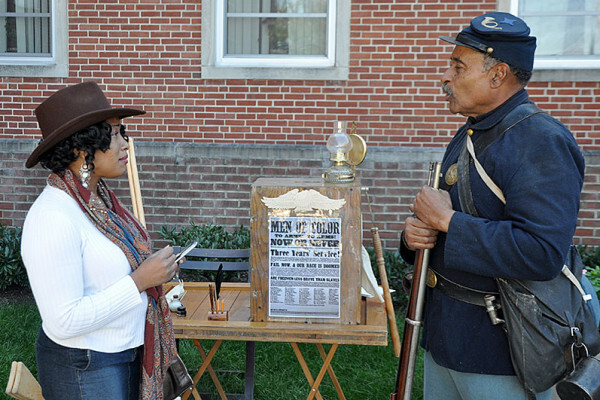 With that historic step, for the first time, black American’s were encouraged to enlist in the Union Army. Among the enlistees was a young man named William Carney. Born on February 29, 1840 at Norfolk, Virginia, William Carney’s mother was a slave to Major Carney. Prior to the Civil War there was no program for educating young black men in the South, but Carney was fortunate enough at the age of 14 to attend a secret school where he learned to read and write. Emancipated when Major Carney died, young William Carney had moved to Bedford, Massachusetts and began preparing for a future as a minister. The assault on Fort Wagner would be the first real test of these young black, Union soldiers–everyone of them a volunteer. 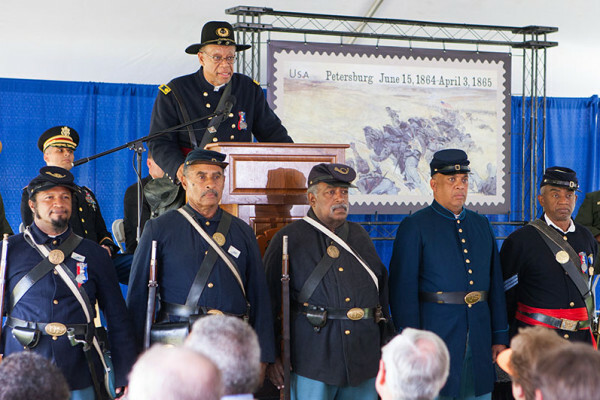 Though the 54th Massachusetts was Federalized, it was an entirely separate regiment. Despite Lincoln’s Proclamation and widening acceptance of these “soldiers of color”, some prejudices and preconceived notions still prevailed…even in the North. So it was that the brave but un-battle-tested young men of the 54th found themselves lying in the sand, waiting for the order to lead the advance on Fort Wagner. Among those brave soldiers was 23-year old Sergeant William Carney. Another rifle slug sliced through the air, this one hitting Sergeant Carney in the leg. With soldiers falling all around him Carney mustered the strength to ignore the pain in his leg, hoist the colors high in the air, and continue to lead the advance. Somehow he gained the entrance to the fort and proudly planted his flag…but he was alone…everyone else either killed or wounded. The solitary figure and his flag pressed against the wall of the fort for half an hour as the battle raged on. Then an attack to the right of the fort’s entrance drew the enemy’s attention away from him. He noticed a group of soldiers advancing towards him and, mistaking them for friendly troops, hoisted his flag high. Again gunfire split the air as Carney realized all too late that they were Confederate soldiers. From the safety of the distance to which they had retreated, what remained of the valiant warriors of the 54th Massachusetts Colored Infantry watched the brave Sergeant struggle towards safety. 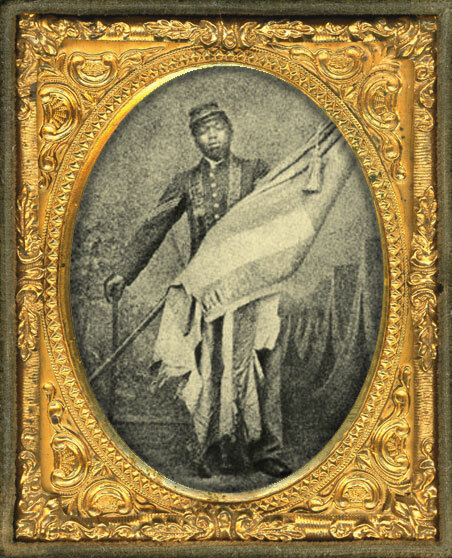 A retreating member of the 100th New York passed Carney and, seeing the severity of his wounds said, “Let me carry that flag for you.” With indomitable courage Sergeant Carney replied, “No one but a member of the 54th should carry the colors.” Despite the sounds of rifle and cannon fire that followed him, Carney struggled on. Another enemy bullet found its mark, grazing his head, but Carney wouldn’t quit. 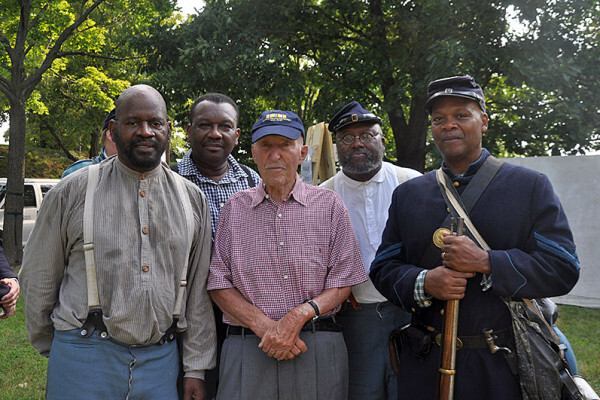 It was not unusual for acts of valor accomplished during the Civil War to go unrecognized for many years. More than half of the 1520 Medals of Honor awarded for heroism during that period were not awarded until 20 or more years after the war. 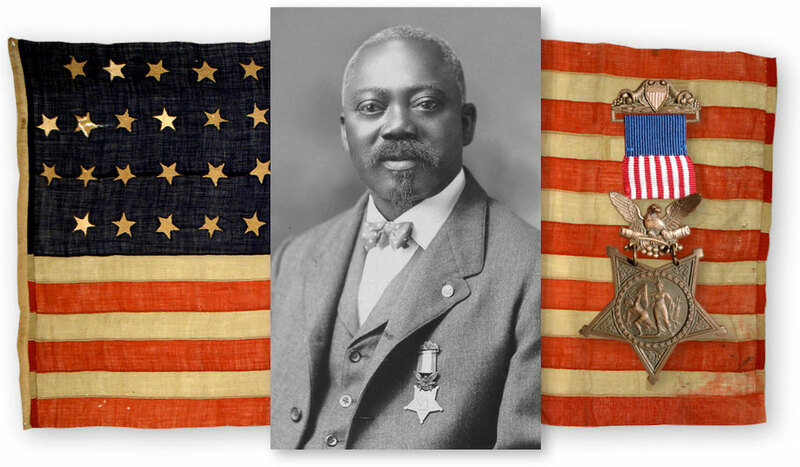 On May 23, 1900 Sergeant William Harvey Carney was awarded his Nation’s highest award, the Medal of Honor. Though by that time several other black Americans had already received the award for heroism during the Civil War and the Indian Campaigns, Sergeant Carney’s action at Fort Wagner on July 18, 1863 was the first to merit the award.